Would love to test this! Thanks! My day job is a quality inspector, so why wouldn’t you want me to test this product? We receive over 300 applications for testing this product! Who will be the Top15 lucky person? Really want to see your works! I like photography! Would love if there was a European version of this competition! Big Anker fan with plenty of devices to test this on. There definitely will have We Love Testing for European markets. A secret spoiler: you won't want to miss the next round. Of course Anker will not forget the "comrades" over the pond! P.S. 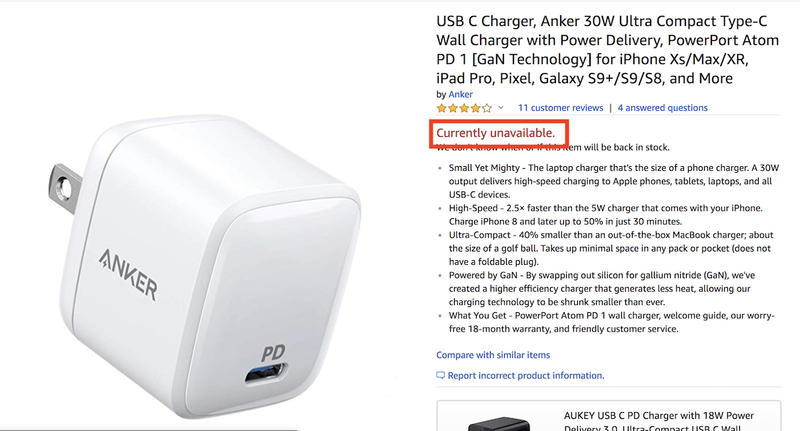 If you can’t wait to get a PowerPort Atom PD 1, head over to Amazon now! It's currently sold out, and will restock very soon. Almost forgot to sign up. Now that my schedule is slowing down, can spend more time on here. I plan doing my standard reviews to my personal site and sharing it here as well. Not long now before the announcement.